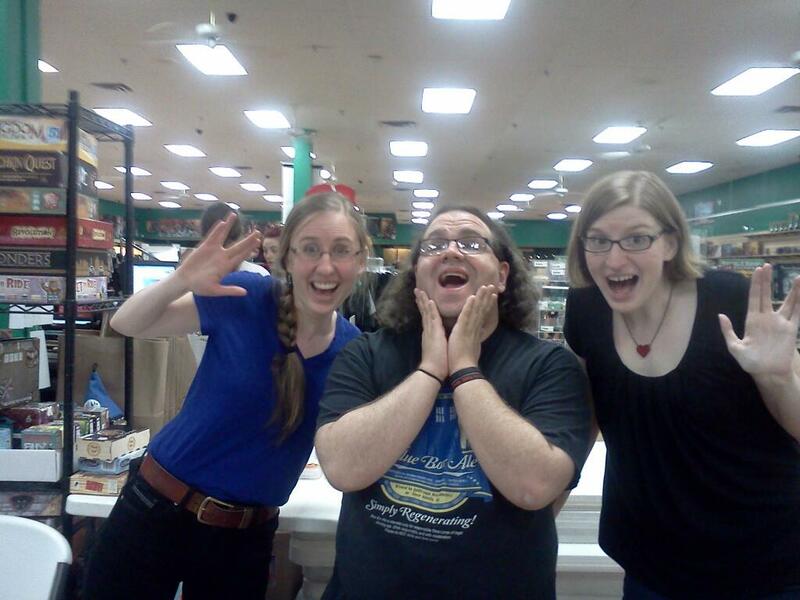 The Doubleclicks (pictured above with a far too excitable fanboy) have a new music video out today, for their song Nothing To Prove - a response to the idea of fake geek girls and the harassment of real geek girls by real elitist morons. It's an awesome song, with an awesome video starring a lot of prominent geek icons as well as a goodly number of fans. Check it out then check out their website for more great music.